Planet Aid Clothing Drive with Great Lakes Brewing Company - Planet Aid, Inc. 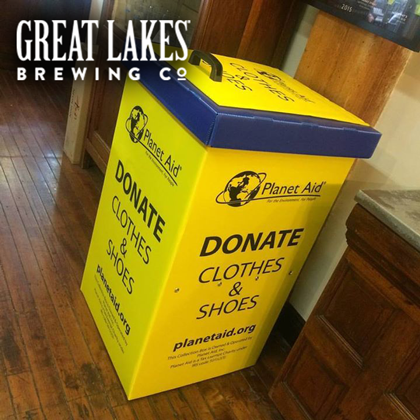 The Great Lakes Brewing Company in Cleveland, Ohio will be hosting a Planet Aid clothing drive from September 18 to 26. Those who donate their old clothes and shoes will receive a 10 percent discount in the brewpub or gift shop for their good deed. Thank you to Great Lakes Brewing for helping the community recycle their clothes!